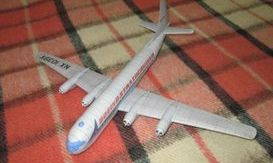 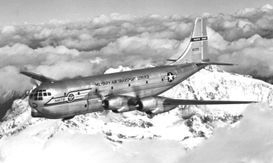 The Boeing 377 Stratocruiser was a large long-range airliner developed from the C-97 Stratofreighter military transport, itself a derivative of the B-29 Superfortress. 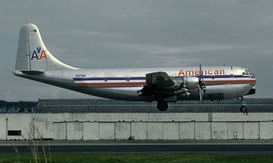 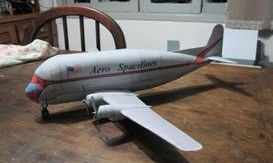 The Stratocruiser's first flight was on July 8, 1947. 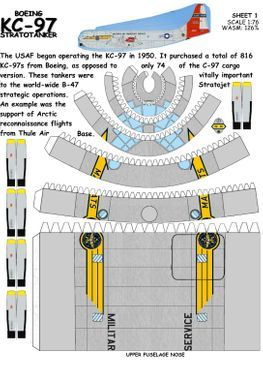 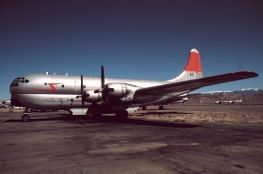 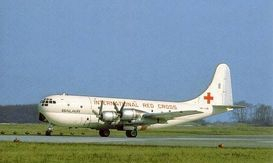 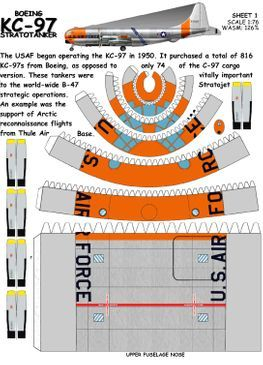 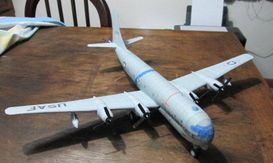 Its design was advanced for its day; its innovative features included two passenger decks and a pressurized cabin, a relatively new feature on transport aircraft. 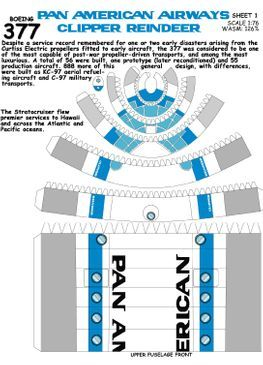 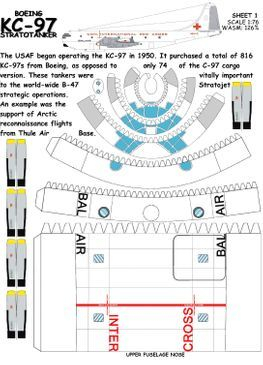 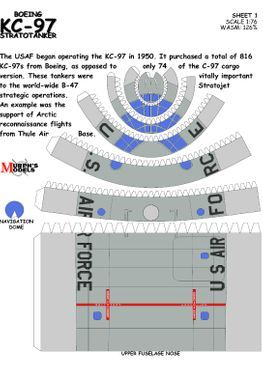 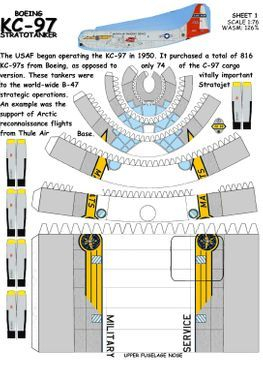 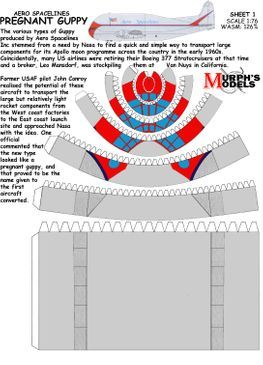 It could carry up to 100 passengers on the main deck plus 14 in the lower deck lounge; typical seating was for 63 or 84 passengers or 28 berthed and five seated passengers. 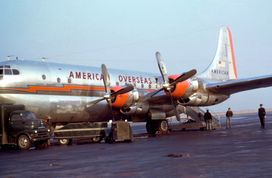 The Stratocruiser was larger than the Douglas DC-6 and Lockheed Constellation and cost more to buy and operate. 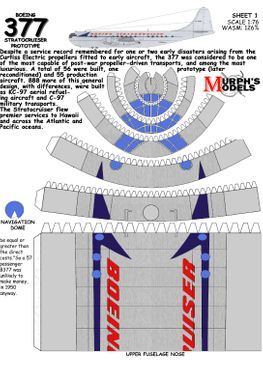 Despite a service record plagued by one or two early disasters arising from the Curtiss Electric propellers fitted to early production aircraft, the 377 was one of the most advanced, and capable of the propeller-driven transports, and among the most luxurious. 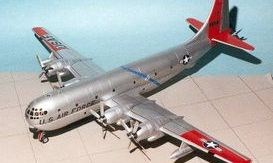 A total of 56 were built, one prototype (later reconditioned) and 55 production aircraft. 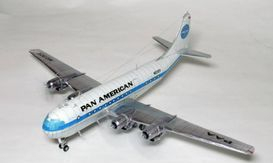 It was also one of but a few double deck airliners, another being its French contemporary, the Breguet Deux-Ponts, as well as Boeing's own 747 and the Airbus A380. 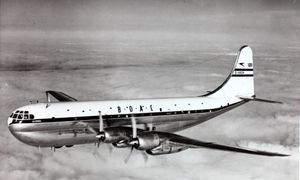 The last 377 was delivered to BOAC in May 1950.